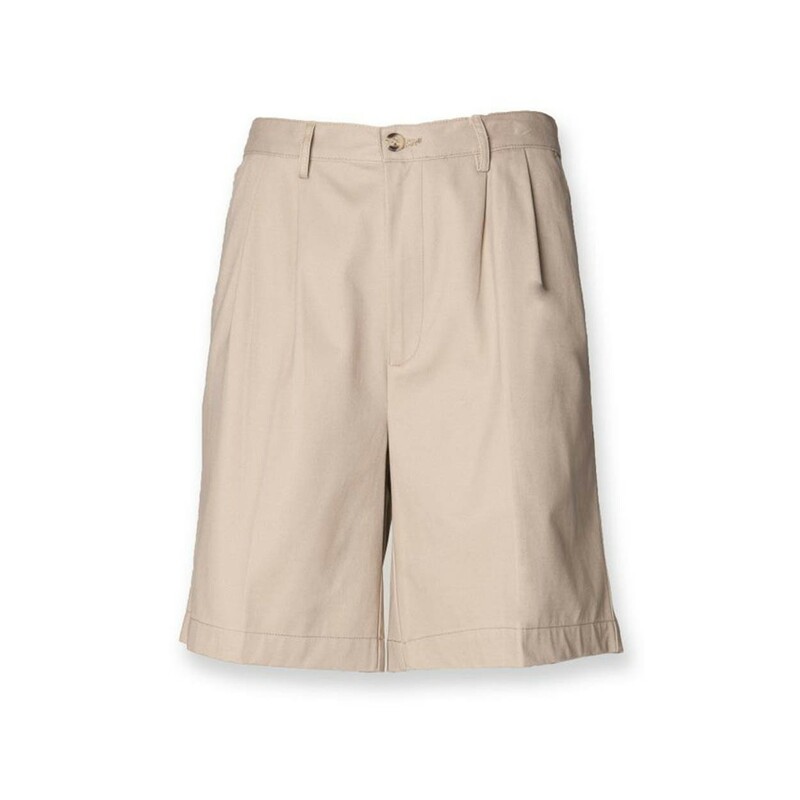 A pair of smart shorts in a Chino style that look great with a shirt. 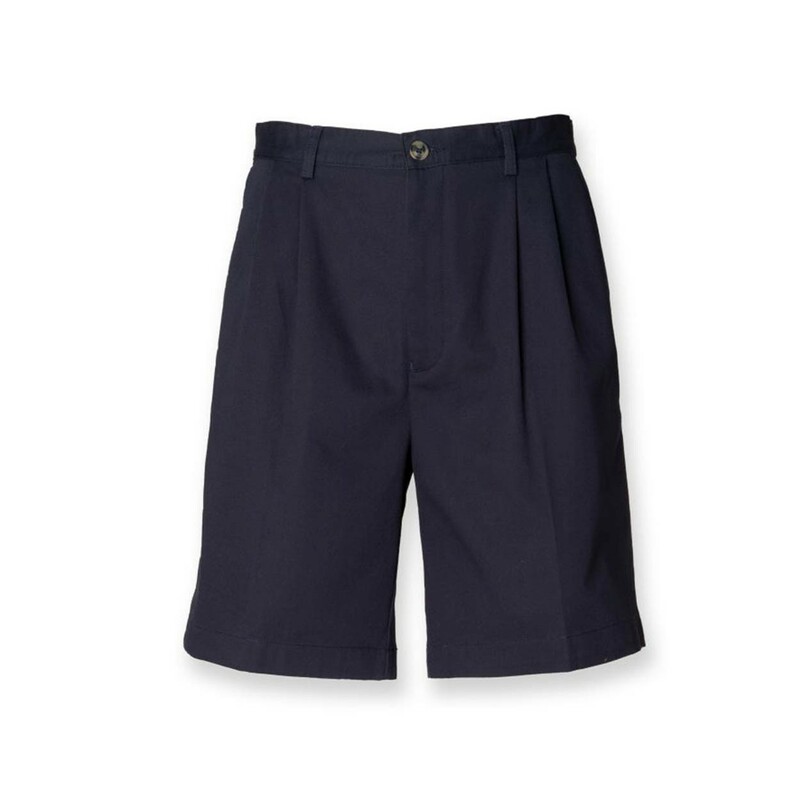 Henbury H605 Chino Shorts in 100% Cotton twill. Teflon stain resistant coating. Front pleats. Two back pockets. Side pockets. Fabric weight: 270gsm. 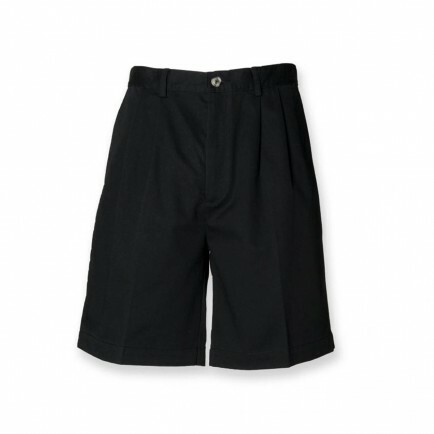 The Henbury H605 Chino Shorts are available in sizes 30-40" waist.